The Bidikmisi scholarship program is an education assistance program by the government of Indonesia which aims to achieve equitable access and learning opportunities at University. Bidikmisi acceptance status having a binary type (i.e. 0 and 1) produces a structure of Bernoulli mixture model with two components. The characteristics of each component can be identified through the Bernoulli mixture regression modeling by involving the covariates of Bidikmisi scholarship grantees. The estimating parameter of Bernoulli mixture regression model was performed using Bayesian-Markov Chain Monte Carlo (MCMC) approach. One of the challenges in using Bayesian-MCMC algorithm is determining the convergence of the sampler to the posterior distribution which is typically assessed using diagnostics tools. In this paper, we present that the diagnostics tools such as Geweke method, Gelman-Rubin method, Raftery-Lewis method and Heidelberger-Welch method can give different results to conclude MCMC convergence. The improvement of convergence indicators occurs on Gelman-Rubin method and Heidelberger-Welch method when the number of iterations is increased. 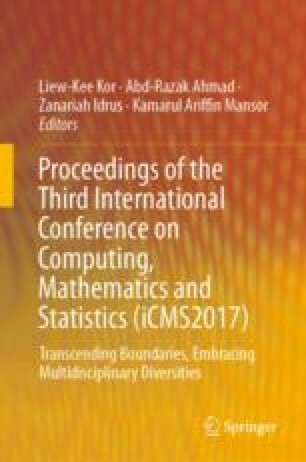 The Authors are grateful to DRPM-Kemenristekdikti Indonesia which supported this research under PUPT research grant no. 608/PKS/ITS/2017.